Industrial espionage expert. Longterm operative for NeoNET, especially Richard Villiers. He has been on the run or in hiding for much of the last few years, and based on a guest post he wrote for Jackpoint, seems to possibly be infected with CFD, the same thing as Fastjack and others. He and Villiers used Renraku Computer Systems shares left to Lanier in Dunkelzahn’s Will to play out an elaborate scheme, leading to the eventual creation of Novatech. 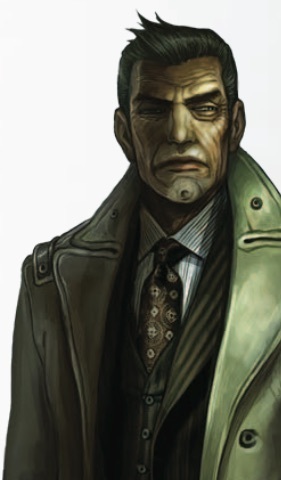 Lanier and Villiers had a much-publicized falling out after the Will was released, and Lanier spent some time at Renraku raiding Fuchi holdings, but it was later revealed to all be part of the subterfuge.